She thought it was just an itch. But it bursts open to her WORST nightmare! 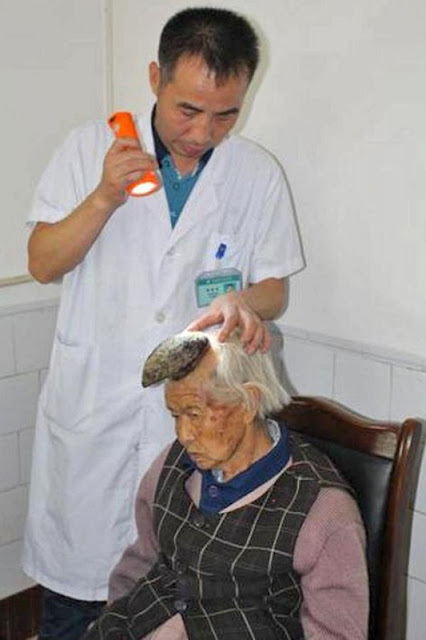 The 87-year-old Liang Xiuzhen, from Sichuan in southwest China, notices a small, and beginning to itch, mark on her forehead. She treats the little spot with naturopathic medicine and has no more complaints for 6 years. Until one day, a catastrophe takes its course! The until-now relatively harmless spot suddenly bursts and is replaced with a little horn that looks like an animal's! The family is shocked, but the doctors in the local hospital come to a diagnosis and decide to treat it normally. And so lives Liang Xiuzhen for 2 years with the little horn. 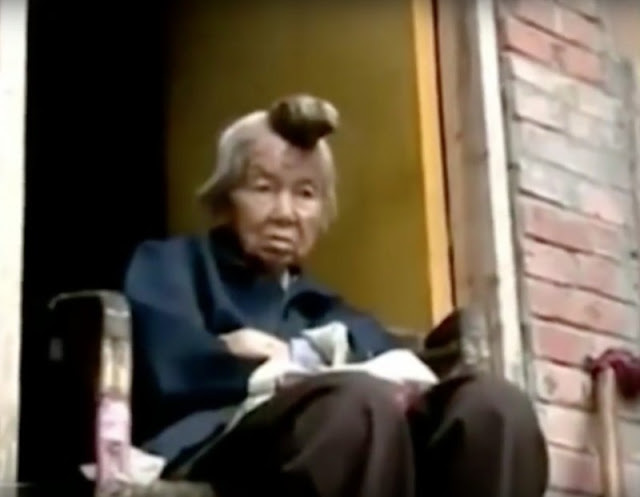 In her village, she is known as the "Unicorn Woman" until her daughter washes her hair one day! 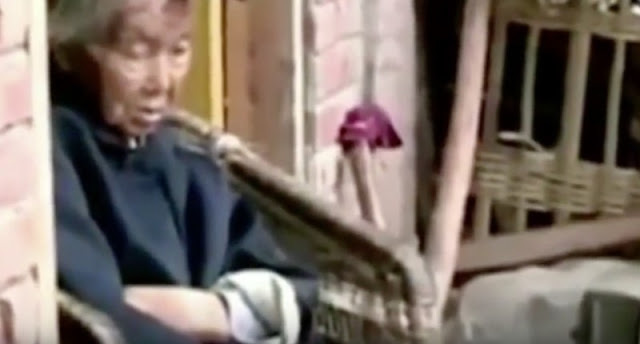 Liang Xiuzhen's daughter washes the 85-year-old's head and the little horn suddenly falls off. But the family's nightmare becomes much worse afterward. 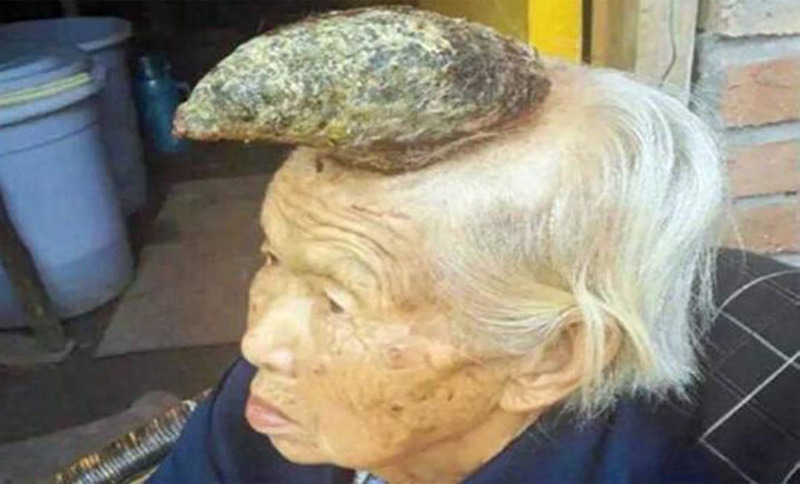 Where once the small horn was is now a massive horn rapidly growing from the old lady's forehead! The horn grows to over 5 inches long and 2 inches in diameter! 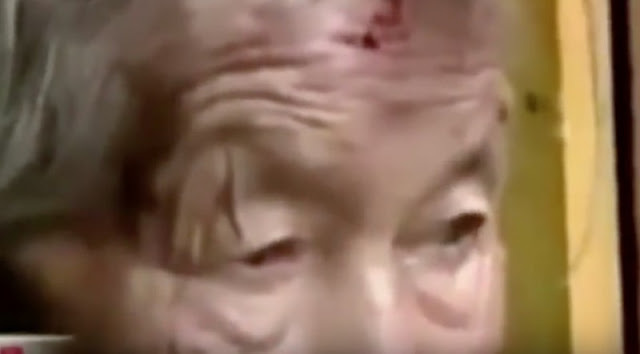 Even though the now 87-year-old is terrified to go to the hospital, from far of never returning, she is brought to the doctors again. Finally, they are able to make the right diagnosis! 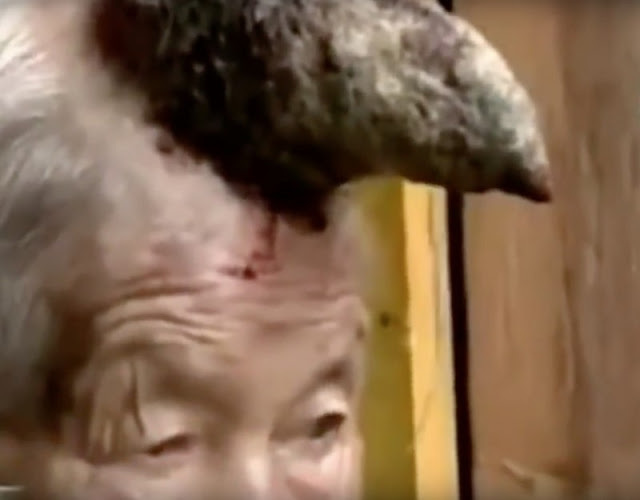 It is a cutaneous horn causing the old lady indescribable pain. It consists mostly of keratin, the same stuff that makes your hair and fingernails. As it turns out, it can be a benign or malignant cancer! Even though the horn pains the older lady (occasionally bleeding and robbing her of sleep), the family do not decide for an operation. The fear that something could go wrong is too big. 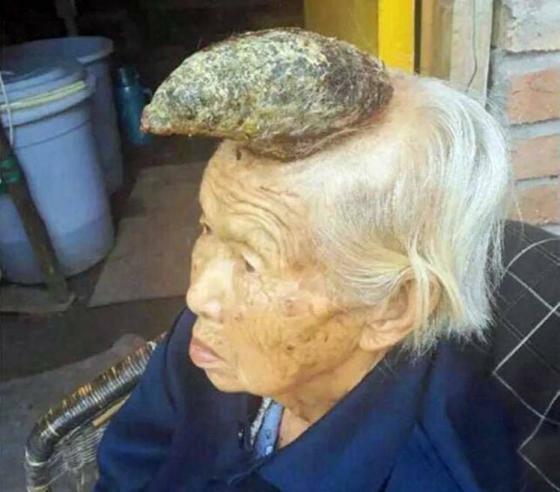 "My mother is old and the horn is located on a sensitive spot on her head. I don't feel comfortable operating there," says Chaojun, Liang Xiuzhen's son. The extreme form of this rare disease is terrifying and with their turn to the public, Liang Xiuzhen and her family want to spread awareness about this disease. So that in the future, such a case can be diagnosed quicker and treated sooner. Help her by sharing this article!